Giant Robot presents a “Ramen Otaku” book-signing on Saturday, Dec. 8, from 3 to 5 p.m. at GR2 Gallery, 2062 Sawtelle Blvd. in West Los Angeles. A guide to ramen for the home cook, from the chef behind the beloved shop Otaku Ramen. Sarah Gavigan is otaku. Loosely translated, she’s a ramen geek. During her 20 years working in film production and as a music executive in L.A., she ate her way through the local ramen spots, but upon moving back to her native Nashville, she found she missed the steaming bowls of ramen she used to devour. So she dedicated herself to mastering the oft-secretive but always delicious art of ramen-making and opened her own shop within a few years. An Italian American born and raised in the South, Gavigan is an unlikely otaku. While her knowledge of ramen is rooted in tradition, her methods and philosophies are modern. Though ramen is often shrouded in mystery, Gavigan’s 40+ recipes are accessible to the home cook who wants to learn about the cuisine but would sometimes rather make a quick stock in a pressure cooker than labor over a vat of liquid for 24 hours. 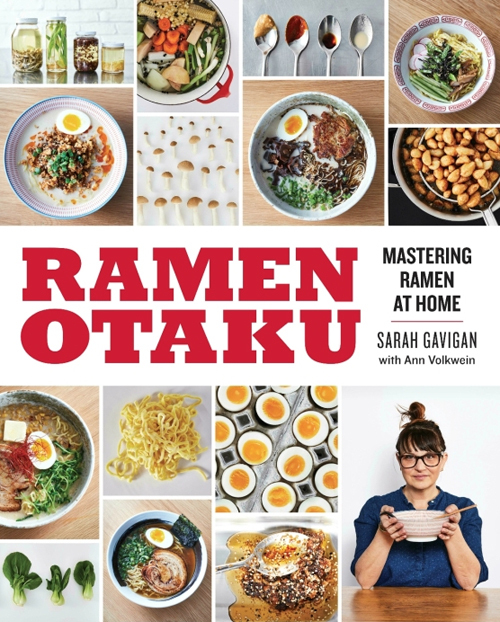 “Ramen Otaku” strips the mystique from ramen while embracing its history, magic, and rightful place in the American home kitchen. For more information on the book, visit http://ramenotakucookbook.com. For more information on the venue, call (424) 246-7626 or visit http://giantrobot.com.